Human life is precious. It is gift of God and God as Creator of all that is owns every human life whether they acknowledge it or not. As the absolute Owner only God can say when it is permissible to take a human life. He has given strict instructions. For example, capital punishment is an option or a requirement for certain crimes upon conviction after a fair trial. Life can be taken in self defence or even the defence of property but the perpetrator cannot be hunted down after the fact and killed [Ex. 22:2]. After the fact, they must go through the court system. Jael killed a man who was sleeping in her tent. Although this was a vicious man his death was neither a case of capital punishment [which must be carried out by the civil government after a fair trail and conviction] nor self defence. Was this a case of murder or Biblically justified homicide? 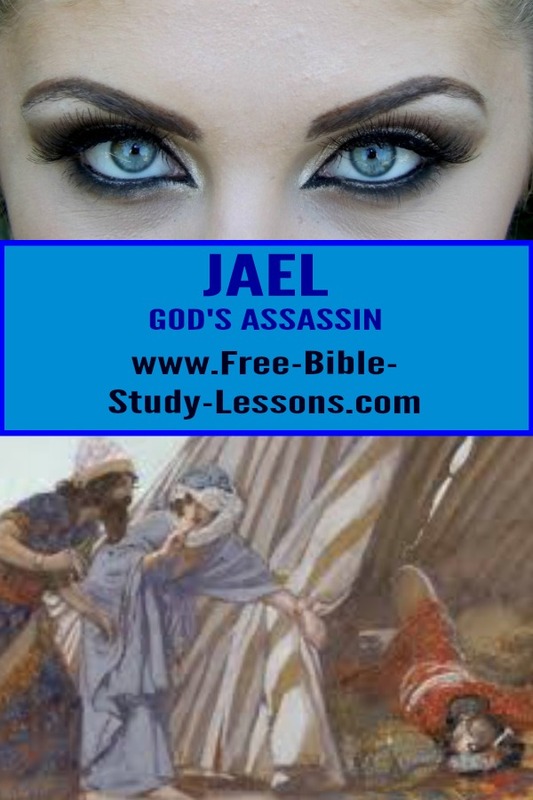 The fact that Deborah prophesied her actions and then praised her after the act indicates that Jael [unknown to herself] was acting as God’s assassin and that God approved of her action. How are we to understand this and apply it? In another article we will look at the spiritual applications that all Christians face, but here we want to look at the physical aspects of the case. The first thing to notice is that this was not an act of revenge or personal hatred. The Bible is very clear that we are not to seek revenge against those hurt us. We may seek justice through legitimate channels [especially for criminal actions] or we may choose to leave it entirely in God’s Hands - either way we know God will see justice done in the end and we have to trust Him for it. Jael’s husband was on friendly terms with Sisera. Undoubtedly, since Sisera was the “power” in the area for 20 years his entire family had received a lot of benefits even if only not being “cruelly oppressed.” It was in Jael’s best interests to either help Sisera escape so he could return with a new army, to remain neutral or even to hand Sisera over to Barak as the new rising power. But she choose to stand with the people of God as she had opportunity and not knowing if it would hurt or harm her personally. Second, Jael was not some mentally unstable person out on a crusade against sinners or even a specific person or type of persons after hearing “voices” from “God.” She was fully aware of what she was doing. 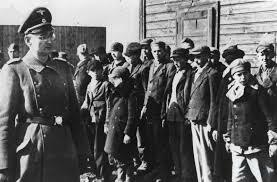 Dietrich’s actions, of working with the Resistance and later becoming involved in a plot to kill Hitler, were based on careful study of Scripture, consideration of the consequences [he was caught and executed] and a deep desire to be obedient to Christ regardless of the cost. Like Jael, his priority was the Kingdom of God and doing the right thing to protect innocent people. It was definitely not some crusade to apply some personal justice or morality on others. These kind of “real world” situations come along. Like Jael, Bonhoeffer and this pastor, among countless others, we cannot turn our backs on those in need. Sometimes it involves “getting our hands dirty.” This, of course, comes as no surprise to the thousands of Christians around the world who give themselves sacrificially to helping the poor, working in prisons, ministering in persecuting countries and communities and many other things. It is the self-righteous who strain at a gnat of their perception of personal purity while shallowing camels of gross injustice. They reveal themselves in their criticisms of Jael and Rahab who are commended by Scripture for their actions. The honour of killing the nation’s worst enemy was taken from Barak for his cowardice and given to a woman. If men will not stand up and fulfill their role as protectors, many times women move to fill the gap. The fact that this great general would be killed by a woman would be an enduring humiliation on his name. Abimelek, for example, asked his armour bearer to kill him so it could not be said he died at the hands of a woman [Jud. 9:54]. God will use anyone - man or woman - who is available for His purposes. Are we available? Are we afraid to “dirty our hands” or will we, like Jesus, be willing to make ourselves of no reputation for the purposes of God [Phil. 2:7-8].